Plutonium-239 is a plutonium isotope used to manufacture nuclear weapons. 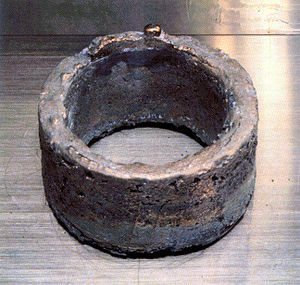 Plutonium-239, along with uranium-233 and uranium-235, is one of the three principal isotopes used as a fuel in nuclear reactors. There are 145 Neutrons and 94 Protons in the Plutonium-239 isotope. The symbol denoting Plutonium-239 is written as 239Pu. Firstly, Uranium-238 is struck with a high-energy neutron and is converted into Uranium-239 with the absorption of a neutron. Uranium-239 is then changed into Neptunium-239 by the emission of an electron and an anti-neutrino particle through beta (β–) decay. In the final stage, Neptunium-239 loses an electron and an anti-neutrino particle to form Plutonium-239. Plutonium-239 is a solid metal with a bright slivery color. The critical mass of this metal for a uniform sphere is 11 kg. The critical diameter of Plutonium-239 for a uniform sphere is 10.2 cm. The Isotope mass of this metal is 239.0521634 u.
Plutonium-239 decays through spontaneous fission while emitting alpha particles. While undergoing decomposition, Plutonium-239 releases energy close to 5.245 MeV. Some radioactive materials can undergo decomposition by more than one method. The ratio between the different kinds of particles produced from such decomposition is called the branching ratio of the material. 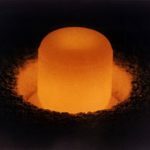 The branching ratio for Plutonium-239 is 100%. While undergoing decomposition, it produces Uranium-235 as a daughter nuclide. Magnetic dipole moment measures the magnetic strength of a current coil or a magnet. In radioactivity, the orbiting electrons of an atom are said to have magnetic dipole moment. The magnetic dipole moment of Plutonium-239 is 0.203 μN. In radioactivity, specific activity is the number of decays per second per amount of substance, where the amount of substance is either the mass or volume of the substance. It is denoted by the symbol SA. The specific gravity of Plutonium-239 is 2.2966 GBq/g. The solubility of Plutonium-239 in water depends on the organic ligands present as well as on the redox and pH of the water. In radioactivity, half-life is defined as the period of time taken by a certain amount of a radioactive element undergoing decomposition to be decreased by half. The half-life for Plutonium-239 is 24,200 years. The atomic nucleus of Plutonium-239 is unstable; it thereby loses energy to reach a stable stage. This process is known as radioactive decay. Plutonium-239 releases energy of around 5.245 MeV through radioactive decay. Plutonium-239 undergoes fission reaction when it is bombarded by fast or slow neutrons. When a slow neutron is absorbed by this isotope, the fissile reaction produces more than two neutrons. A continuous chain reaction is initiated in case one of these resultant neutrons breaks down another plutonium nucleus. Plutonium-239 gathered from dismounted nuclear weapons as well as from nuclear reactors is an important source of energy to generate electricity. Almost around 10 million kilowatt-hours of electricity is produced by one kilogram of Pu-239. Almost one-third of the energy that is produced in a commercial atomic power plant comes from plutonium fissions. Fission reaction of Plutonium-239 can be held in the same fuel rods where it is produced. Small portions of Pu-239 can be added to newly-manufactured nuclear fuel to produce MOX fuel or mixed oxide fuel, which contains a combination of plutonium oxide and uranium oxide. Plutonium-239 is an important fissile material used in the manufacturing of nuclear weapons. Implosion systems are built using Pu-239. Plutonium-239 is a dangerous carcinogenic substance. Due to many nuclear experiments over the last 50 years, nearly 10,000 kilograms of this substance has been released in the atmosphere. Release from weapons and other accidental releases have caused much local contaminations. Pu-239 is difficult to track and detect once it is released in the atmosphere or has been absorbed in the body. In animals, it has been found that high exposure to this substance cause respiratory tract diseases, decreased life spans and even cancer. The carcinogenic effect of Pu-239 comes from its alpha (α) radiation. Alpha particles are heavier than the beta and gamma particles and travel a short distance within living tissue while repeatedly hitting the tissues and cells nearby. Inside the body, Plutonium-239 is mostly deposited in soft tissues, e.g., the liver, the bone marrow, on bone surfaces as well as other non-calcified bone areas. Gamma radiation of Plutonium-239 is weak; hence a high quantity of this substance is required to cause gamma radiation effects. 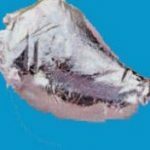 Accidental ingestion of the material is quite low as are the risks associated with it. The main health danger from this substance comes from inhaling this substance which can cause damage to the tissues of the bronchial tubes and lungs. It can also accidentally be absorbed in the blood stream through abrasions and cuts. Deposits of Pu-239 may ultimately cause cancer in the long run. The half life of this substance in the body varies on where it is deposited. In human liver, it has a half life of 20 years and in the bones it is around 50 years. Of all the isotopes of plutonium, Plutonium-239 is the one most widely used. 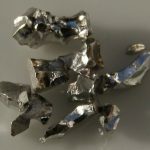 Although considered to be one of the most carcinogenic of all radioactive substances, it has found widespread use in nuclear reactors and in the generation of electricity.